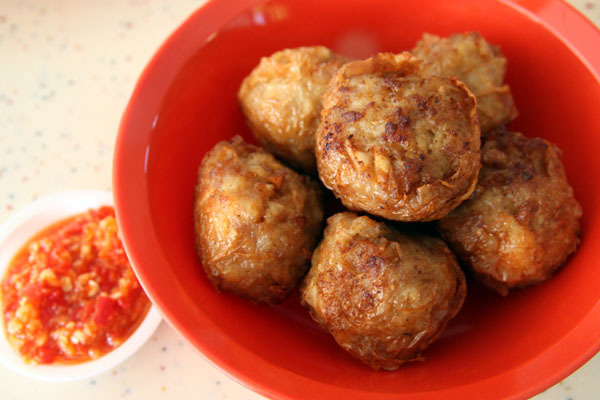 Do not be surprised if you spot one third of the Dim Sum Dollies serving you buah keluak at Tiong Bahru Food Centre. 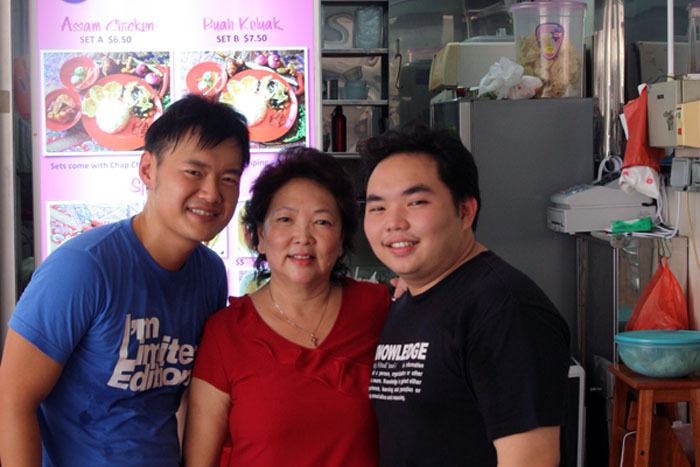 The self-confessed ‘Little Nyonya’ Selena Tan is actually helping her mother Daisy out at Daisy’s Dream Kitchen, a new stall serving Peranakan delights. It has always been Daisy’s dream to make this traditional and heritage food affordable to the masses, and thus this hawker stall at the family’s favourite Tiong Bahru Food Centre. 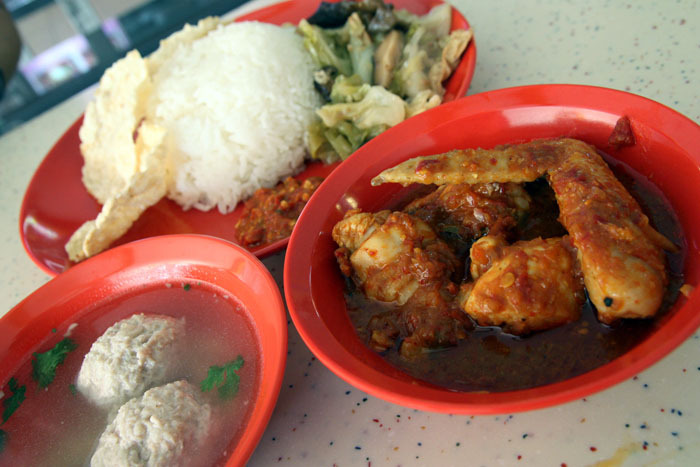 Customers can choose between the assam chicken set ($6.50) or buah keluak set ($7.50). Most nyonyas would cook assam with fish, but Daisy modified the dish because her children liked a version without bones and with tender chicken meat. The result? A mouth-watering marvelous dish of spicy sourness, so good that I wiped the bowl clean. My favourite side dish is the ngoh hiang ($3 for 6 pieces) which is fully packed with minced meat, water chestnut and onions. All the dishes served contain no MSG and radiate home-cooked goodness, as though they are prepared by your best friend’s mother. Where To Find Nonya Food? I tried this place last month, loved it! Lots of new food to me, and the staff was awesome about explaining the food & making sure I got to try the things I was interested in. Great that you enjoyed it John. Continue to indulge in our local delicacies!